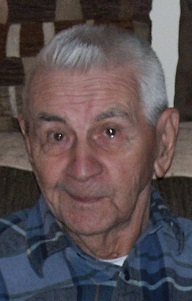 Troy-Stephen T. Smith 90 of 4th Avenue passed away peacefully on Saturday September 8, 2018 at his home. Born in Cohoes, he was the son of Stephen M. Smith and Anna Hanecek Smith and the loving husband of 66 years to Patricia Pettit Smith. Stephen served in the National Guard and United States Navy, he worked for Bendix Manufacturing Company for many years, retiring in 1990. He enjoyed fishing, his vegetable garden, a beer at lunchtime, Nascar, but most of all he enjoyed spending time with his family. In addition to his wife Patricia, he is survived by his daughter Patricia (George) Riley of Ballston Spa, his granddaughter Tammy Lynn Reynolds of Troy, his great grandson Jonathan Verhagen of Niskayuna, his sister Agnes Dedrick of North Carolina and his nephew Raymond Skaarup of Troy, also survived by a large number of nieces and nephews. Stephen was predeceased by his siblings John Smith, Andrew Smith, Katherine Baker, Theresa Baker and Ann Minch. Family and friends are invited and may call from 5:00 pm to 7:00 pm on Wednesday September 12, 2018 at McLoughlin & Mason Funeral Home corner of 109th Street and Third Avenue, Lansingburgh. Funeral service 11:00 am on Thursday September 13. 2018 at funeral home. Burial will follow at St. John’s Cemetery, Troy. Memorial donations in memory of Stephen may be made to the Mohawk Hudson Humane Society at 3 Oakland Ave, Menands, NY 12204 or https://mohawkhumane.org/donate.